A great review HERE of The Human Advantage: A New Understanding of How Our Brain Became Remarkable by by Suzana Herculano-Houzel. 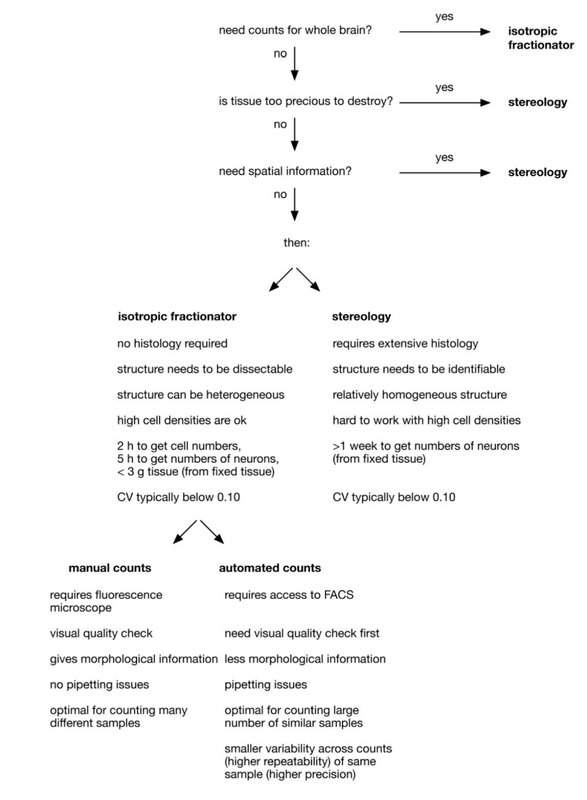 The answer is that you need a counting method that can estimate up to 86 billion individual cells with high accuracy and precision. 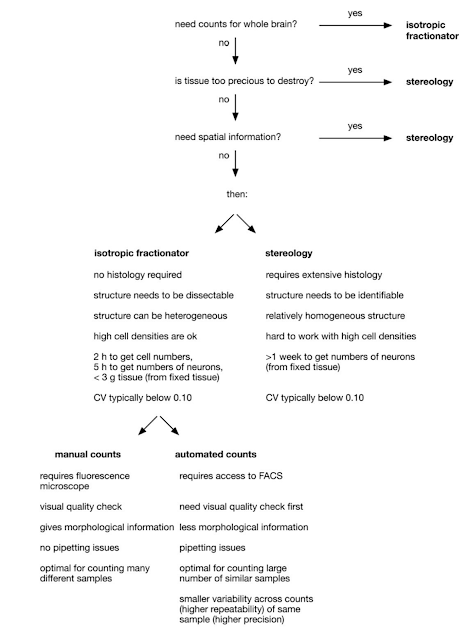 Below is the decision tree for choosing between the isotropic fractionator method used by by Suzana Herculano-Houzel and her colleaugues and unbiased stereology (from HERE).